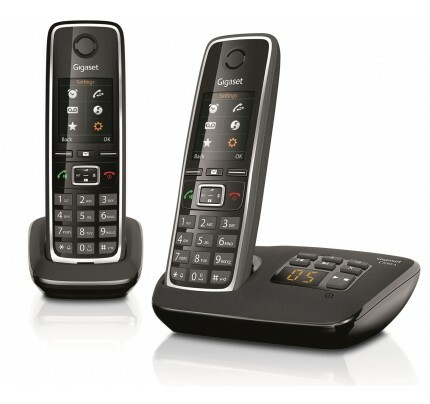 Leading the way with style and user experience, the Gigaset C530 is designed to be customisable and reliable. It features a crystal­clear colour screen with a user­friendly interface, DECT wireless freedom and a number of value­adding features, including the ability to function as a baby monitor. This package includes two cordless handsets. 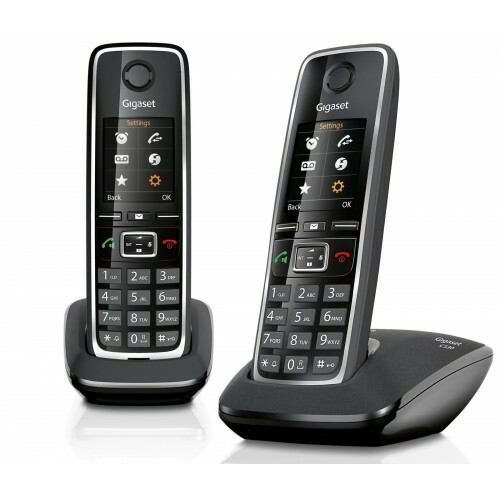 While offering excellent ease of use and a rich set of features, the Gigaset C530 is also designed to suit your individual preferences and requirements. You can select your own background and better manage your busy life by customising the calling system. You can group your contacts and assign specific ringtones to them so that you'll always know who's calling you. Additionally, if you find yourself being plagued by unwanted marketing phone calls, the phone can automatically silence anonymous numbers. The Gigaset C530 helps you to keep track of important events such as birthdays or meetings. Using the icon­driven interface and simple navigation, you can access your own personal calendar and have the phone remind you whenever an important event is coming up. You can also cycle through the most recent calls made or received and dial back numbers with just a couple of button presses. The Gigaset C530 is designed to simplify family life by functioning as a personal digital calendar and a baby monitor as well as a fully featured cordless phone, while excellent customisability helps to make your phone your own.